Jump For Joy by 2 Unlimited is part of the album "Hits Unlimited" . 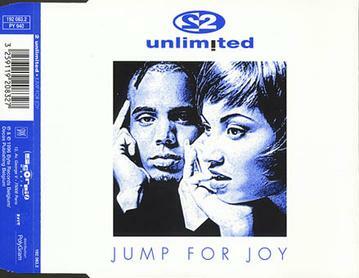 'Jump For Joy' is a song by 2 Unlimited, released as the second single from their fourth album, 'Hits Unlimited'. It was the second single from the band to not be released in the UK after the comparative failure of the first hit from the album 'Do What's Good For Me'. This was the last single that 2 Unlimited in their Anita and Ray guise released with a proper video. Jump For Joy Lyrics are the property of the respective artists, writers and labels. These lyrics are provided for eduacational purposes only. Please buy the song if you like them.